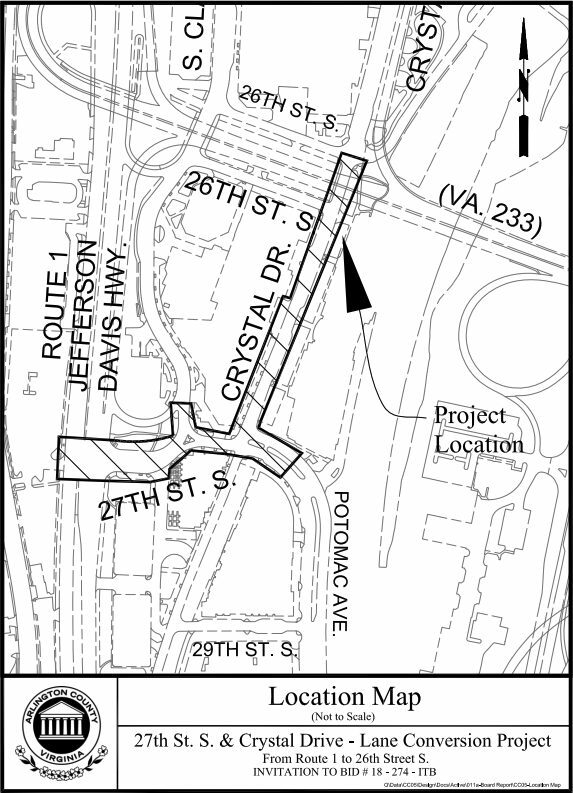 If approved at tomorrow’s (Saturday) County Board meeting, a portion of one of Crystal City’s thoroughfares will receive a substantial upgrade and a speed limit downgrade. Crystal Drive is currently a one-way street between 26th and 27th streets, but as part of an ongoing conversion project it will be turned into a two-lane roadway. 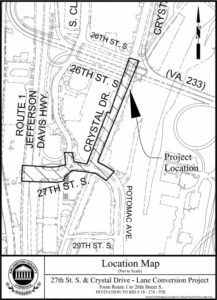 The project will also add a right turn lane at the northbound intersection of Crystal Drive and 26th Street S., a left turn lane at the westbound intersection of Crystal Drive and 27th Street S., and bike lanes and sidewalk improvements. The two-lane expansion in other sections of Crystal Drive occurred in 2013. The two-lane conversion between 26th and 27th Streets S. will be the third and final phase of the street’s conversion to an almost entirely two-way road. At tomorrow’s meeting, the County Board will vote on a contract for the $1.2 million project. At the same meeting, the Board will also vote on whether to authorize a public hearing on lowering the speed limit along Crystal Drive from 30 to 25 mph. 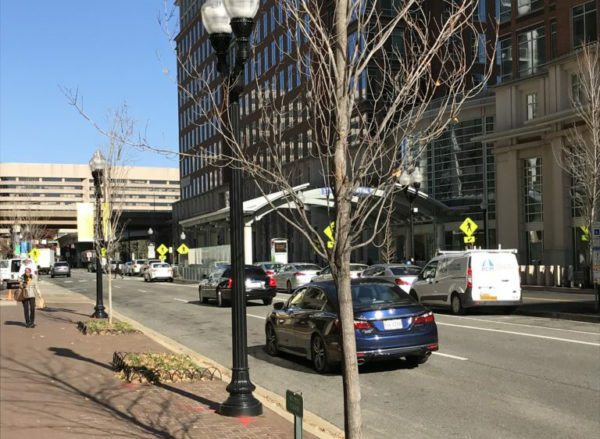 The county’s Transportation Master Plan recommends 25 mph as the standard speed limit on arterial streets in Arlington’s downtown districts where there are high volumes of pedestrians and high density land development. 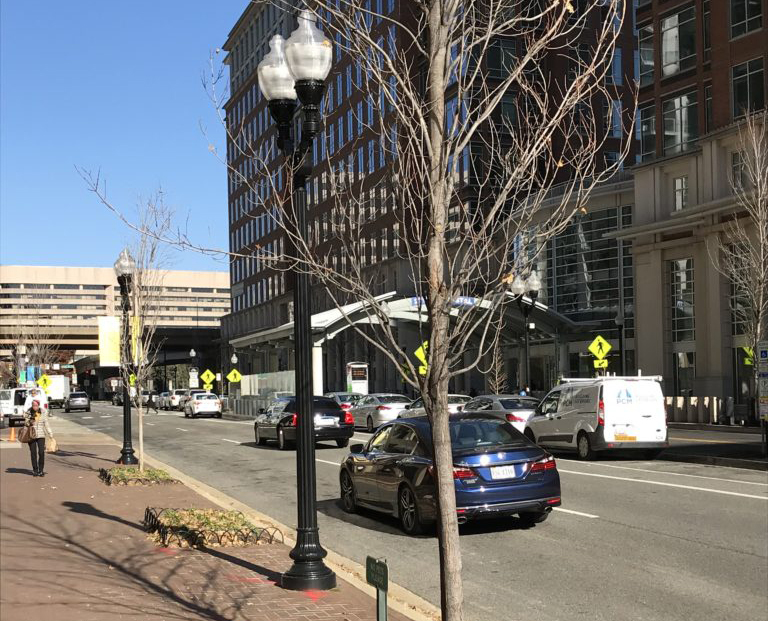 A study of the local traffic was conducted at the request of the Crystal City Business Improvement District and determined that Crystal Drive qualified for a speed limit reduction. If approved, the speed limit reduction will be considered at the Board’s Oct. 20 meeting.